The Israel Defence Force has murdered at least 16 people after storming ships on the high sea bound for Gaza. The six ships of the flotilla was carrying 10,000 tonnes of aid and 600 human right activists from around the world determined to break Israel’s three year long blockade of the Palestinian territory. Israel had repeatedly said it would not let them in and IDF forces boarded the boat around 65km off Gaza before beginning their killing spree. 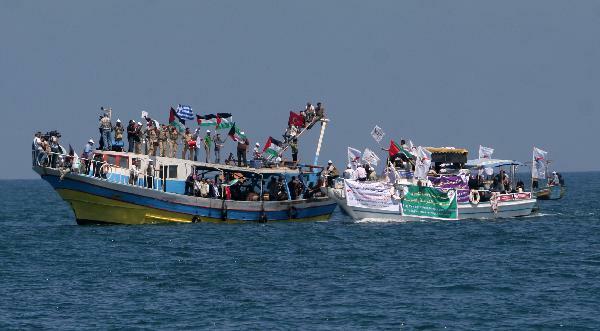 Free Gaza Movement, the organisers of the flotilla said the troops opened fire as soon as they stormed the convoy despite the raising of a white flag. With the flotilla carrying mainly medical and food supplies, most of the world’s governments have condemned Israel. Israeli police are on high alert across the country to prevent any civil disturbances. The Hamas government in Gaza held an emergency meeting chaired by premier Ismail Haneya, following the Israeli Television Channel 10 report 16 activists on the ships were killed and 30 wounded, including the Israeli-Arab Islamic activist Sheikh Raed Sallah. The IDF version of events needs to be treated with caution but they said soldiers were attacked with knives and clubs as they boarded the six vessels. It said the violence turned deadly when an activist grabbed a weapon from one of the commandos. “The weapon discharged,” they said ambiguously not making it clear whether the activist fired it or if it went off accidentally. The six ships of the flotilla sailed under Turkish and American flags and set off from Cyprus yesterday. Israeli forces said they would not allow them land and the flotilla deliberated slowed down so that any forced landing would happen in daylight hours to maximize the media exposure. Meanwhile at the port in Gaza City Hamas prepared a welcoming party with marquees and a buffet to greet the flotilla which was expected mid-afternoon today. The first contact happened 200 kms off the Gaza shore. The IDF contacted the flotilla by radio and told them the Gaza Strip was a closed military zone. They offered them two options either follow the navy to Ashdod Port is Israel or else be commandeered by commandos. “If you ignore this order and enter the blockaded area, the Israeli navy will be forced to take all the necessary measures in order to enforce this blockade,” the IDF told them. The flotilla radar detected three Israeli ships in the area. After boarding the vessels and going on a shooting spree, the IDF towed the vessels to Ashdod. Israel justified its actions saying it already allows 15,000 tonnes of aid into Gaza each week. The UN said this is just a quarter of what the Gaza Strip needs. Between 35 and 60 percent of Gaza’s agriculture industry was destroyed by Israel’s three week long invasion in 2008-2009 which left the land contaminated and cratered. This is the ninth time the Free Gaza movement has tried to ship in humanitarian aid to Gaza since August 2008 but only five have been successful and none since Operation Cast Lead turned Gaza into a wasteland. The latest action confirms Israel is prepared to thumb its nose at international criticism as it lurches further into right-wing extremist nationalism. There is a scene in the excellent Australian film “Beneath Hill 60” where two German soldiers are talking about the consequences after they realise the enemy is about to blow their position sky high. The other is mortally offended. “Our High Command would never consider it. The place is filled with German blood. You simply don’t understand war,” he concluded imperiously. Understanding war is difficult, particularly one as nasty, brutish and long as the First World War. The drab Hill 60 (too anonymous for a name) near Ypres in Flanders, Belgium was a senseless battlefield that changed hands several times during the war. One of those times was during the 1917 Battle of Messines. 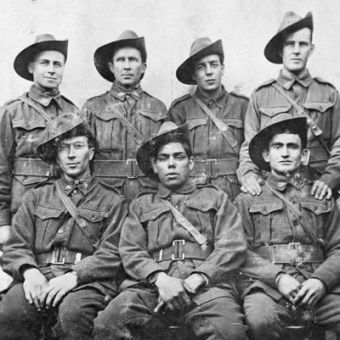 Based on the diaries of Captain Oliver Woodward, David Roach’s screenplay tells the stories of the 1st Australian Tunnelling Company, miners and engineers cobbled together to dig passages under enemy lines. Woodward was a Queensland miner brought in specially for the task. The plan was to lay 21 mines with almost 500 tonnes of ammonal explosives underneath German lines deep in the blue clay 25 metres below the soggy upper-level soil. The plan was the brainchild of Viscount Field Marshal Herbert Charles Onslow Plumer. Despite the Blimp-like name, Plumer was one of the finest army commanders on the Western Front. He had an infantry background and was not addicted to the futile grand charges beloved of many of his peers. The idea for tunnels came from the Germans. When trench warfare was deadlocked in 1915 German engineers realised the possibilities of literally undermining British morale by building tunnels under their lines and detonating large charges of explosives. The British retaliated and began a rapid recruitment program of English and Welsh miners. Mine owners objected and the net was cast further wide to Canada and Australia. Nineteen of the 21 mines exploded and according to British newspapers, Londoners were startled out of their sleep at 3.10am by the sound of the explosion. German defences shattered and their high ground defence disappeared instantly. 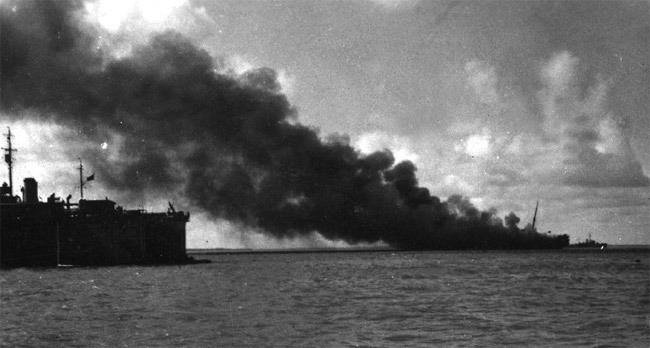 The British advanced a few miles but poor conditions in the shell-torn terrain prevented them from following up the advantage. Hill 60 was just another death-ridden pointless postscript to an endless war of attrition that destroyed a generation of young men. As foreshadowed by the American Civil War 50 years earlier, industrialised nations fighting with technologically advanced, mass-produced weapons enabled killing on an unprecedented scale. Twenty million people died and 20 million more were injured. The callous lack of regard for life led to another war to end all wars 20 years later. Sims takes us under the dull roots of the waste land to confront a human-engineered hell. The story contrasts spring fertility with the black and muddy stench of death. The Australian flashback scenes invert the seasons as well as tone of the film. The only Australian non-flashback scene in the film shows there is little redemption for those who have visited the circles of hell under Hill 60; the best anyone can hope for is a painful and memory-scarred survival. No wonder so many survivors don’t like talking of their war experiences. War is the antithesis of life. As much as I admire Marni Cornell and Rod McGuinness, there’s no reason for tears over the death of the online journal New Matilda. The site finishes up on 25 June but they will not be the first or the last such outlet to die. It was no coincidence Cornell quoted Tom Fitzgerald, the founding editor of Nation. Its successor newspaper the Nation Review was in a print template for what New Matilda aspires to be on line. Like Nation Review it has apparently outlived its relevance, or at least its paying clients. Owner Duncan Turpie gambled on stopping subscription shortly before it became fashionable again. Making it free brought greater numbers of readers but they were not followed by advertisers. Why weren’t there people with products to sell to the audience gained by New Matilda? Was it that their readers were no good for paid products or was it just those wise souls that read New Matilda pay no attention to the advertising that paid for the news? While sad we’re about to lose a valued publication I feel certain that great content will continue to emerge somewhere. The available media will expand to cater for it. Phil Gomes thinks the answer to a post-media future will have to be amateur but I think he is aiming too low. Certainly those still in charge don’t think so. Just witness today’s The Australian ads for itself on the ipad. Where there is a wheel there is a way. The city of Bangkok remains in a state of civil war as the three-day street riots that have killed 25 people continue. Authorities have declared a 4km radius of the Thai capital around Lumpini Park a “live firing zone”. The Pattaya Daily News reports the Centre for the Resolution of the Emergency Situation is considering ordering a curfew for residents of the affected areas “allegedly so that the military are able to isolate ‘terrorists’ from the innocent civilians”. Around 10,000 United Front for Democracy Against Dictatorship (Red Shirt) protesters are on the streets demanding the government of Abhisit Vejjajiva step down. They claim Abhisit came to power illegitimately with the help of the army and have called for parliament to be dissolved. More than 50 people have been killed and 1,600 wounded since the protests began in March. Tensions rose dramatically last week after the Red Shirts rejected Prime Minister Abhisit’s “roadmap” to an election on 14 November. Abhisit wanted anti-government protesters to accept his reconciliation plan and restore peace and stability. 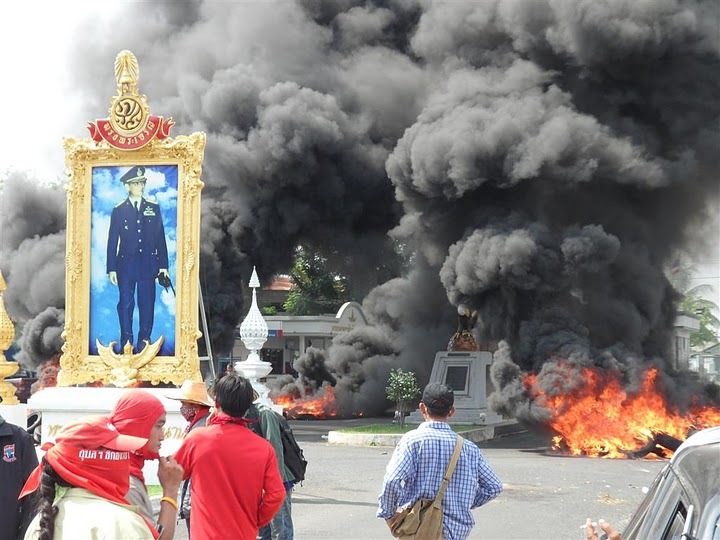 Not only did they reject that plan but Red Shirts demanded the prime minister and deputy prime minister Suthep Thaugsuban hand themselves over to the Department of Special Investigations for their involvement in the deaths of 20 civilians following the April 10 clashes. On Thursday Abhisit ran out of patience and sent in the military. Last night the Prime Minister made a public broadcast from the safety of an army barracks where he defended his decision to use force in the dispersal of the Red Shirts protesters. He argued it was the only resort after peace negotiations broke down with the key opposition leader Jatuporn Prompan promising to “fight to the end”. The end may well be near for Prompan’s forces but the enmity Abhisit’s actions have caused are likely to have long-term repercussions that may leave Thailand fatally split for years to come. Iraq was reminded this week the country is still not entirely safe for civilians. Yesterday a bomb exploded at a football match in the northern city of Mosul killing 25 people and injuring 120. The carnage was caused by a car bomb quickly followed by a suicide bomber. The incident came four days after attacks in five cities killed 110 people in the bloodiest violence this year. Politicians blamed Al Qaeda as the country struggled to form a government two months after an indecisive general election. Stable government is a crucial step in ensuring US combat troops leave the country by 31 August – seven and a half years after the Bush Administration launched its invasion. I was reminded of this as I went to watch The Hurt Locker last night. The film tells the story of a US bomb disposal team in the early years after the invasion. The title of the film refers to the place an explosion sends you to – a private world of pain. Though it was filmed near-location (Jordan) using many Iraqi refugees in minor parts, it fails to humanise anyone other than the three American participants of the bomb squad. This is hardly unusual in American war films. But The Hurt Locker is a particularly disappointment given its positive critical reception. It was based on the Iraqi accounts of embedded freelance journalist Mark Boal, who also wrote the screenplay. Boal should have been honest enough to look at the conflict from both sides. But the film never rises above a depiction of Iraqis as “the other”. Director Kathryn Bigelow’s desire was to immerse the audience into something “raw, immediate and visceral” and to some extent she succeeded. But ultimately her movie put us in the position of the “fourth man in the humvee” and not the women looking fearfully out the window, or the boys in the alley or the men at the mosque or the souk. One of few Iraqis to be named was the boy called “Beckham” for a footballer from a country also at war in Iraq. “Beckham” was a mask, and even as it was peeled off it was never fully resolved as the American protagonist mistakenly believes he is dead. All these native boys look alike. The film reveals the massive problem the US faced in its invasion of Iraq and still does in its Afghan incursion. There is a lack of empathy with the people whose lives they have interrupted. Hardly any of the invaders speak Arabic (even less so Pashto and Dari), and none have cultural affinity with the places they serve in. Their job was difficult and they faced hostility but nowhere in the film does anyone ask what they were doing in Iraq. There is no political context and no hint of the role oil played in the invasion. 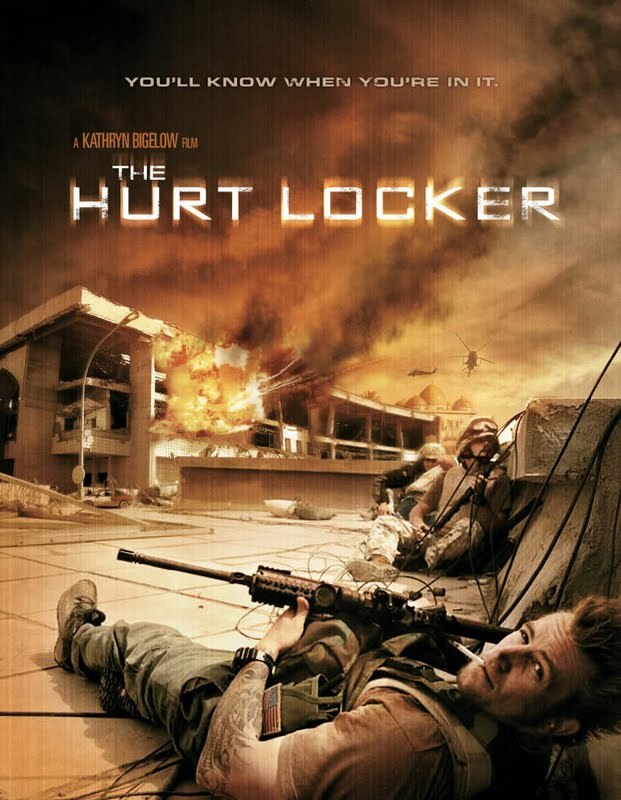 The Hurt Locker does a wonderful white knuckle job of getting into the day to day stresses of a bomb disposal squad. But it offered no insights on why the bombs were there in the first place. Saddam Hussein was a cruel and vicious tyrant but he was created in America’s image. When the Republican Guard crumbled in 2003, the US was unprepared for what followed. A county that had suffered continual war or sanctions since 1980 was on the brink of collapse and many desperate people had nothing to lose by declaring jihad on the invaders. “The poor man’s air force” hardened opinion against the invasion in Iraq and the US. The legacy is that many will remain attracted to the violence well after Obama has withdrawn the troops. Iraq has a long way to go to escape the Hurt Locker. While it might seem bizarre given Greece’s troubles, other European countries are still keen to join the euro zone. This week the European Commission has given its blessing to Estonia to take up the common currency. The commission announced yesterday it would recommend EU governments let the Baltic country switch to the currency in January 2011. 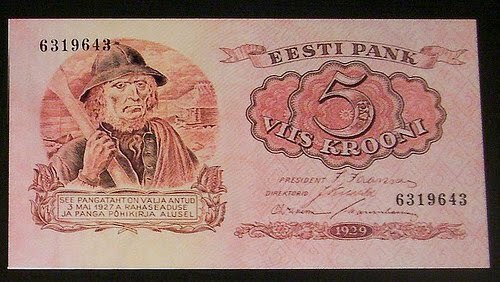 Estonia, which currently uses the kroon, would become the 17th nation to adopt the euro. The announcement was accompanied by a report showing eight other EU countries do not yet satisfy the conditions for euro area membership – Bulgaria, the Czech Republic, Latvia, Lithuania, Hungary, Poland, Romania and Sweden. Estonia has undergone an astonishing transformation in the last 20 years. After a 51 year absence, it returned to the world map in 1991 as an independent country during the collapse of the USSR. According to The Economist Estonia confounded its critics in the years that follow. It had a fast-growing economy based on flat taxes, free trade and a currency board. In 2004 it joined the EU and NATO. Despite property values collapsing last year, the economy stabilised with the help of flexible wages and prices. The Economist said Estonia was one of two EU countries (with Sweden) that met the common currency’s rules. However the ECB did not explicitly say Estonia should be excluded and its opinion is not binding on the final decision makers, the EU governments. The New York Times said political leaders have form in brushing off central bank concerns in their eagerness to expand the zone. “Greece won admission even after the central bank reported in 2000 the country’s debt equalled 104 percent of gross domestic product, far above the limit of 60 percent in the Maastricht Treaty,” the NYT said. That decision has rebounded on the EU as it embarks on a $106 billion rescue of Greece’s wrecked economy in conjunction with the IMF. The Estonian finance minister has been playing down negative impacts of the euro to his country. Jürgen Ligi said there is no danger of the euro bringing major price increase to Estonia despite the temptation of traders to round prices up after the conversion. There will be parallel posting of prices in both euros and kroons for the obligatory six months before adoption of the euro. Ligi said the country’s planned sales tax might mess up things but general studies show that “we don’t have the room for price increases for anything substantial to take place”. Estonia has two more hurdles to jump before it is confirmed as a member. An EU committee meets at the end of May to discuss the move, followed by a finance ministers’ summit in early June for final confirmation. By January next year they will join the 329 million people that use the euro every day, nearly two-thirds of the EU population.